On Wednesday February 11, 2015 the House Energy and Commerce Committee’s subcommittee on healthcare held its much-awaited hearing on ICD-10 implementation, scheduled for October 1, 2015. Since the implementation delay last year, many providers have slowed down or stopped their preparation for the ICD-10 transition in hopes of another delay, or outright abandonment of the ICD-10 code set. Although CMS has issued a final rule stating October 1, 2015 is the implementation date, there is still much skepticism as to whether this will actually move forward. At the hearing, several members of the subcommittee, including the chairman, voiced their support for moving forward with ICD-10 implementation on October 1. It remains to be seen whether amendments will be offered to the upcoming annual “doc fix,” or the Sustainable Growth Rate rule that would trigger Medicare pay cuts to physicians, or any other legislation between now and October 1. There’s a lot of skepticism out there and for good reason. However at this point it’s a good idea to have processes in place to be ready for October 1 to be sure your practice or organization isn’t caught off guard. If you shelved your ICD-10 transition plan after the delay last year, dust it off. If you have an ICD-10 team at your hospital or physician group, its time to start meeting again to pick up where you left off. If you’re a small practice, gather the relevant people in the practice and begin preparation for the transition once again. Check your software. While your EMR vendor may say they’re ready for ICD-10, check carefully. Are processes like dual coding (offering a corresponding ICD-10 code for an ICD-9 code) in place? Do your report parameters include ICD-10 options? How about referral forms for hospitals, ancillary testing, and other physicians? If your software generates these make sure the ICD-10 codes are there. Check your EMR’s interface with your clearinghouse and make sure the new code set will flow properly between them. Here’s a dual coding tip: if your ICD-9 code was non-specific your ICD-10 code will be too if you let the EMR automatically translate it for you without doing anything else. Time for some ICD-10 training (see # 5, below). Check with your payers. Check the five or ten payers that you send claims to. Are they testing ICD-10 claims now? If you use a clearinghouse to submit claims, and most practices or organizations do, what kind of testing are they doing? When will they permit providers to test? 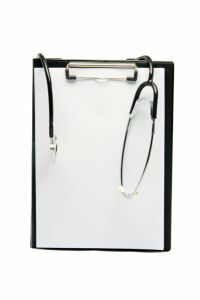 Physicians: think about your diagnosis pick list. Each specialty has its own most-used diagnoses. Take a look at the ones you use on a daily basis and come up with a list of ICD-10 equivalents, keeping in mind the requirements of specificity that the new code set will bring, and start integrating them into your EMR. Take some time over the coming months to build it in a way that works for you and makes clinical sense. You may find your idea is different than what your EMR vendor thinks an appropriate diagnosis list is for your specialty. Think about what training you’ll need. You should plan on having specialty-specific training in enough time to feel comfortable about the new codes before October 1. Everyone’s learning pattern is different, but it’s not too early to explore what’s out there. The good news is that most medical societies, specialty societies, hospitals, and other organizations have training already available to physicians and providers. Look at your payer contracts. Some payer contracts may have “ICD 10 clauses” where payment can be denied for lack of specificity of the code. Check these carefully if it’s time for renewal. Talk with payer’s provider representative about them. Specificity is a two way street during the learning process and there should be safeguards against the payer’s error costing your practice money. Improve your practice’s cash position by October 1. You want to increase your cash reserves as much as possible by October 1 in the event of unexpected problems. Get a handle on what your days in accounts receivable are now and come up with a plan to reduce them as much as possible by October 1. File claims quickly and reduce your number of unfiled claims to as few as possible by October 1. While we can’t predict exactly what will happen with the ICD-10 transition whenever it comes, we can take steps to minimize the adverse effects on our practices. So the time to think about it is now. Remember, forewarned is forearmed. Robert F. Polglase, MD, JD, CHCQM is an emergency physician and attorney with extensive experience in physician practice management, hospital utilization and revenue management and post-payment audits. He may be reached at rpolglase@gmail.com.